For Americans for Safe Access, 2018 was a year of solidifying gains, pushing boundaries and finding allies for medical cannabis patients. In the beginning of 2018, patients faced considerable uncertainty. The attorney general removed boundaries on medical cannabis prosecution put in place by the Obama administration, and the House of Representatives was blocked from voting on the funding amendment that had prevented federal interference in state programs since 2014. Despite that, lobbying by patient advocates helped get the Rohrabacher-Blumenauer Amendment included in the 2018 omnibus spending bill, and the representative responsible for blocking it in the House has now been voted out of office. Even better, the Appropriations Committee included the protective language in the actual appropriations bill for 2019, so it would not have to be added by amendment. ASA efforts to reform Veterans Administration policy resulted in the VA Medicinal Cannabis Research Act of 2018, which ASA successfully lobbied to expand research opportunities and prevent the exclusion of victims of the War on Drugs. This piece of legislation became the first cannabis bill to pass out of committee since 1970. Confronting the opioid crisis head on, ASA redoubled efforts to make sure that people living with pain have access to medical cannabis. ASA’s report, Medical Cannabis as a Tool to Combat Pain and the Opioid Crisis: A Blueprint for State Policy, was distributed at the 2018 National Conference of State Legislatures, and ASA recommendations were adopted by New York, Pennsylvania and Illinois. ASA expertise has influenced program expansions in states such as Virginia. ASA staff have been deeply involved in pushing implementation of Guam’s medical cannabis program, at the request of local advocates. ASA forged new alliances and strategic partnerships. Work with international standards and scientific research organizations has helped advance common benchmarks for testing and safety. New connections with other patient groups such as Disabled American Veterans, The American Legion, The Abilities Expo, The National Pain Foundation, and The Michael J Fox Foundation has helped reach patients who might not be aware that medical cannabis could help. In 2018, federal protections for state medical cannabis programs and the individuals who participate in them were again extended through an annual appropriations amendment. After years of citizen lobbying by ASA and other patient advocates, the amendment was first included in the 2014 appropriations bill that funds the Department of Justice (DOJ). The current government shutdown over the federal budget means a lapse in the restriction that prevents the DOJ from spending any funds interfering with state programs. Federal prosecutions of state-compliant individuals is at the discretion of each of the U.S. Attorney's offices. The amendment language has been included in the continuing resolutions offered that would reopen the government extending the 2018 funding bill to a future date. In 2018, ASA also helped break a 48-year Congressional impasse, as the first piece of actual legislation on cannabis passed out of a committee. The VA Medicinal Cannabis Research Act of 2018, which would have tasked the Veterans Health Administration with investigating medical use, was passed out of the House Committee on Veterans Affairs on a unanimous vote. It was not enacted, but the new congress has already seen the introduction of bipartisan bills to de-schedule cannabis and otherwise address the conflict between federal prohibition and state cannabis laws. The cannabis industry will benefit from a new partnership between researchers and a that will produce guidance for everything from cannabis cultivation to cosmetics. The global standards organization American Society for Testing and Materials (ASTM International) is partnering with researchers at the International Cannabis and Cannabinoids Institute (ICCI). ICCI, located in the Czech Republic and cofounded by ASA, is the first European partner for ASTM International’s cannabis committee, which includes businesses, laboratories, associations, and governments. 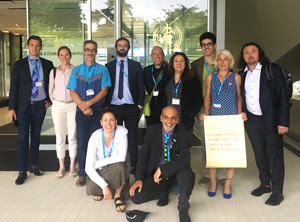 After testimony and evidence presented by ASA and other members of the International Medical Cannabis Patients Coalition (IMCPC), the head of the World Health Organization (WHO) notified the United Nations that cannabidiol (CBD) is so safe it does not need legal controls. The WHO also notified the UN that the experts found evidence that cannabis, THC, and extracts do not fit the current, highly restrictive classification, so they conducted a “critical review” of those in November, the first every done by the WHO or the UN. The results of that review have been withheld. ASA and IMCPC submitted four reports on cannabis and its components to the WHO’s Expert Committee on Drug Dependence (ECDD). 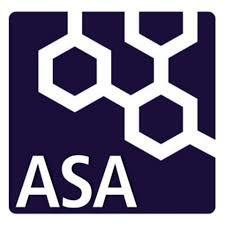 In response to a request from the U.S. Food and Drug Administration last April, ASA also submitted comments on the medical efficacy and safety of cannabis in support of the WHO review of cannabis. Patient advocacy groups from Argentina, Mexico, Uruguay, France, Germany, New Zealand, the Netherlands, South Africa, and the United States all recommended changes in the international scheduling of cannabis and medical products made from it. In a milestone decision, the Food and Drug Administration (FDA) in September, 2018 approved for the first time a medication derived from the cannabis plant. Epidiolex, an oral solution of cannabidiol (CBD) developed by GW Pharmaceuticals, has been approved for the treatment of two rare seizure disorders, Dravet syndrome and Lennox-Gastaut syndrome. It is the first FDA-approved treatment for Dravet syndrome. In late September, the Drug Enforcement Administration (DEA) placed Epidiolex in Schedule V, the least restrictive category. The FDA noted in its recommendation to the DEA that CBD products “do not have a significant potential for abuse and could be removed from the CSA.” Cannabis and its constituents, including CBD, remain illegal under federal law as Schedule I substances. FDA-approved medications can be prescribed by doctors, purchased in pharmacies, and typically covered by insurance. Epidiolex costs approximately $2,750 per month. Following a formal request from ASA and an online petition that surpassed 100,000 signatures, the Drug Enforcement Administration (DEA) early last year removed misinformation about the health effects of medical cannabis from its website. The petition, filed with pro bono legal assistance from the law firm Orrick, was ostensibly denied in a letter dated January 26th, but the DEA removed 23 of the 25 factual inaccuracies ASA challenged and corrected the other two. For years, the DEA has published incomplete and inaccurate information about the health effects of medical cannabis. ASA’s petition noted that the DEA has directly contradicted much of this misinformation in recent public statements. ASA argued that the information required correction because Congress relies on the DEA for tools to make informed decisions about public health. In Missouri three medical cannabis initiatives were on the ballot, with Amendment 2 winning out with 65.5%. The constitutional amendment allows patients to register as of July 4. Patients will be allowed up to four ounces. Qualifying conditions are broadly defined and up to 192 dispensaries are to be licensed throughout Missouri. State officials say the soonest medical cannabis dispensaries will be serving patients is January 2020. Because the new law is a constitutional amendment, any changes to it would need to pass in the Missouri legislature then be put to a public vote. 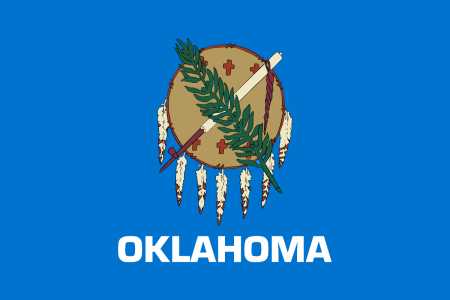 In a June primary election, 57% of Oklahoma voters approved a medical cannabis initiative establishing one of the most robust safe access programs in the U.S. The initiative attracted nearly 41,000 more votes than all primary candidates for governor combined. Implementation has been rapid. Six months since passage, there are more than 22,000 registered patients and 785 licensed dispensaries. The initiative reflects a number of patient-focused principals from ASA’s model legislation, including strong civil protections, reasonable possession amounts, and a right to personal cultivation. Utah voters passed a medical cannabis initiative Proposition 2 with nearly 53% of the vote. But Utah state law allows citizen initiatives to be overridden by the legislature, and before Proposition 2 could go into effect, state lawmakers replaced it with a more restrictive alternative bill. The Utah Medical Cannabis Act was touted as a “compromise bill” but included limited input from patient advocates. The action was part of a special session called by the governor. The new law creates a complex distribution system with a state-run “central fill pharmacy” and 10-15 cultivators. The legislation removed most autoimmune diseases from the list of qualifying conditions, except for Crohn’s disease and ulcerative colitis. Patient registrations will be valid for just 30 days, then subject to renewal every six months. 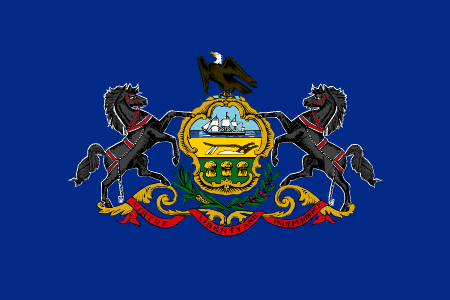 In line with ASA recommendations, Pennsylvania lawmakers last year added four new medical conditions and approved the use of whole-plant cannabis products that can be vaporized. Access to whole-plant cannabis should lower costs for patients, who were limited to more expensive highly processed forms. Added to qualifying conditions are spasticity, cancer remission therapy, neurodegenerative disorders, and opioid addiction therapy. ASA’s End Pain, Not Lives campaign has been working to persuade policy makers to make cannabis available as an alternative to opioid medications. The Virginia House of Delegates and Senate unanimously passed bills last February to expand the commonwealth’s restrictive medical cannabis law. The bills expand what was a very restrictive law to any condition a patient’s physician approves. The change was the result of tireless lobbying by Virginia patient advocates, including ASA staff who live in the state. Those efforts resulted in not a single lawmaker opposing the bills either in committee or floor votes. On January 25, please join ASA for a fundraiser and networking event for the “End Pain, Not Lives” national campaign to raise awareness about alternatives to opioids. Everyone is welcome. Spread the word by sharing the link on social media and inviting friends to attend the event. Space is limited, so buy your tickets soon to secure a spot. If you cannot attend in person, but still want to give, please choose the donate-only ticket option. A list of donor names will be shown at the event. For sponsorship information, please contact Reenal@safeaccessnow.org. A new Congress means you may have new congressional representatives working in Washington, DC. Do you know where your Senators and Representative stand on medical cannabis? What are they going to do to protect medical cannabis? Bipartisan bills to support research and safe access are already being introduced. Use ASA's easy online tool to ask them to support safe access today! 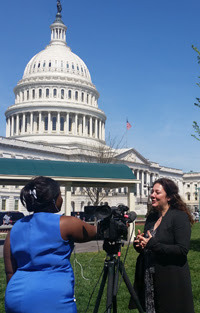 www.safeaccessnow.org/newcongress.